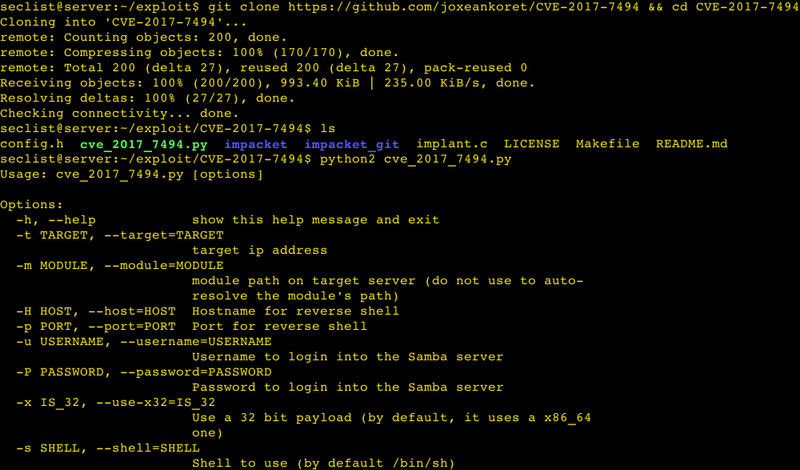 Browse: Home / Remote root exploits for the SAMBA CVE-2017-7494 vulnerability. 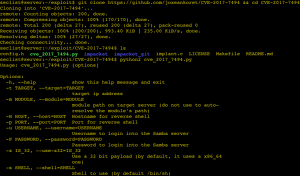 Remote root exploits for the SAMBA CVE-2017-7494 vulnerability. 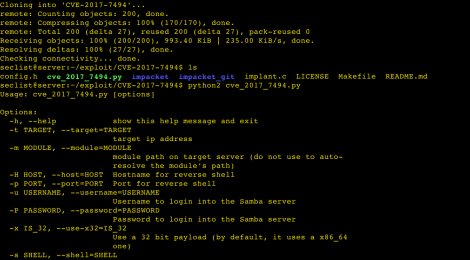 Remote root exploit for the SAMBA CVE-2017-7494 vulnerability. 1. First, it compiles a payload called “implant.c” and generates a library (libimplantx32.so or libimplantx64.so) that changes to the root user, detaches from the parent process and spawns a reverse shell. 2. Second, it finds a writeable share in the specified target host, uploads the library with a random name and tries to load it. ← tcconfig – A simple tc command wrapper tool.